Palm groves, rice fields and fishermen. Welcome you wherever you’re from. Guinea-Bissau, time to visit now. 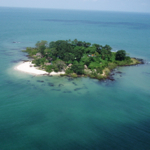 With 88 among islands and islets, set in calm water filled with fish, shell-fish and molluscs, in a sea that doesn’t know pollution yet, this is Guinea Bissau’s main tourist attraction and one of the most beautiful places in African continent. 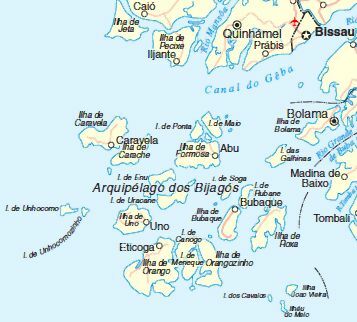 The archipelago is constituted as “Bolama-Bijagós archipelago biosphere’s reserve”, held by IBAP (Institute for Biodiversity and Protected Areas). The islands provide tourists with a set of landscape, ethnography and magic. Beaches are absolutely delightful: small white sand beaches surrounded by a thick vegetation that grows all through the archipelago. In the channels among the islands boats float, carrying groups of enchanted tourists. In the villages you meet the Bijagós people: handsome men and women dwellers of the islands. There are a few boats that go from the mainland to Bijagós. Normally a ship goes from Bissau to Bubaque in the morning of Friday, with return on Sunday afternoon. Departure times and arrival are related to tides and sometimes the travel can be suppressed, even for long periods, for ship’s maintenance or other factors. The other main islands are connected by motor-canoes, once a week or twice a month, depending on destination, season and different situations. It is possible to rent private motor boats. More current information can be found on the page SERVICES > LAND AND SEA TRANSPORTATION. Before planning a departure for the islands it is advisable in any case to check the services’ dates and hours directly to the port or asking to the addresses of the page CONTACTS. There are both restaurants and hotels in Bubaque and Bolama. Hotels with restaurant are in Rubane, Orango and some other island and islet. There is a small hotel on João Vieira island. The best restaurants on the islands have very good fish. You can see also: SERVICES > ACCOMMODATION IN TOURIST SITES (the page is being updated). Bubaque and Rubane are the most renown among the islands, Orango, João Vieira and Poilão have got the most typical natural environment, and anyway each island has its own beauty to offer to the tourist. The best way to visit Bubaque and Bolama is by bicycle. Recommended the visit to the beach of Bruce, 15 km. from Bubaque town and almost desert. 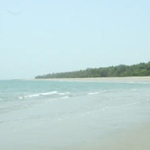 In Bolama the best beaches are in the remotest south western point of the island. In Orango is found the largest colony of marine hippos in the world. João Vieira and Poilão are one of the main sanctuaries for the reproduction of sea turtles. Some suggestions of tours can be found in the squares right-side this page. Personal itineraries can be worked out looking for the addresses indicated in the page CONTACTS. The aim of the management of IBAP Parks is the conservation of biologic diversity and ecological processes, encouraging the traditional employ of space and resources and the Bijagó culture. - Área Marinha Protegida Comunitária das Ilhas de Urok(AMPCIU). The biggest community of salt water hippos of West Africa lives in the Anôr lagoon and if you are lucky you can see up to 20 hippos all together. The ancient Orango Island main town, famous because the Queen Okinka Pampa lived there. Still today the community is governed by a Queen. The islands most far from the mainland, with a beautiful sea and desert beaches. Turtles and birds breed here in a wild and unpolluted nature. The blue of the sea and the green of vegetation. Beaches, birds, turtles, marine hippos, culture. Comments sent by tourists after having visited the islands. Among the received comments, we have chosen the most interesting to inform those that want to visit the Bijagós.